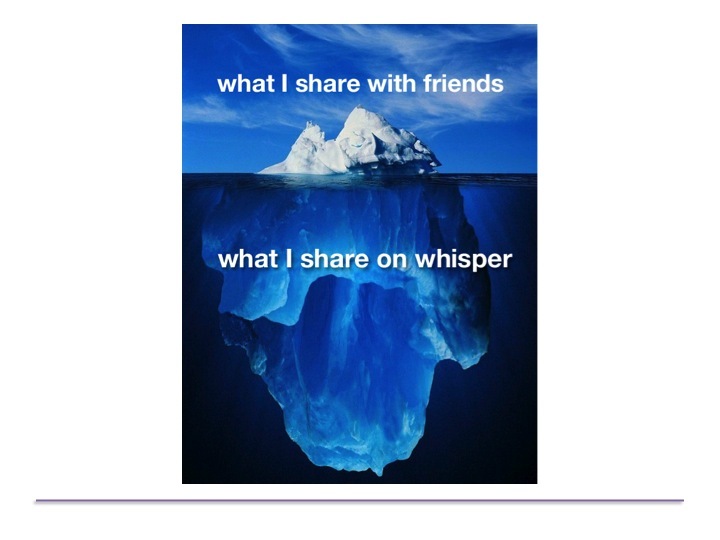 Why Should You Care About Whisper, the Secret-Sharing App That VCs Are Pouring Money Into? 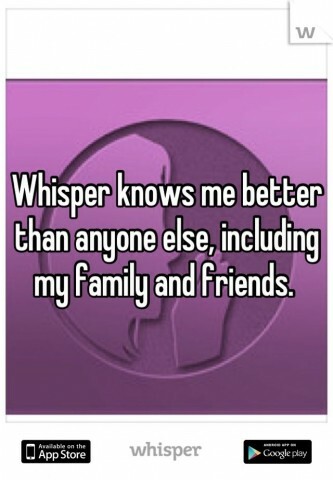 Whisper makes a mobile app where people anonymously post their secrets in the form of text superimposed on a picture. Users can then privately or publicly respond to a post. It’s not really a social network, because there’s no such thing as a Whisper user profile. Sounds like your basic flimsy mobile startup, right? Moderately interesting premise — but who has time for that when there are oh-so-many others? This week, I talked to the principal players at the company to get their take on why Whisper is different, why it’s worth the money, and why they think it will stick around. I can’t say I’m totally convinced — the app still feels very high school, with confessions that are often pretty banal — but I do agree with the company’s premise that online oversharing is growing tiresome, and a more authentic outlet might be needed. I also like that Whisper has already set up a companion nonprofit, Your Voice, which seeks to aid people who post Whispers that are real cries for help. To start out, here are some stats from Whisper. Users spend 500 million collective minutes a month inside of the product, according to the company. Usage grew from 500 million page views in March, when Whisper raised its Series A round, to 2.5 billion in July. Active users open the app eight to 10 times per day, and spend a half hour with it. This is really the next iteration of the social Web. It’s not just going to be about reputation management, it’s going to be about actually connecting people. It’s very tiring, managing all these facades. The problem with profile-based networks is they’re always trying to make you be one person. You can’t be captain of football and really like “Glee.” You can’t be a great dad and a huge tattoo enthusiast. We connect people around content, rather than connecting around people. Okay, but Whisper seems to be dominated by young people talking about their romantic frustrations. Is this really a mass-audience thing? Heyward: Right now, if you’re not a 19-year-old college student that’s unsure about where their life is going, you may open the app and feel like there’s not a ton of stuff here for you. In reality, that’s not true, it’s just that we show content based on how much engagement individual posts are getting, so it gets subsumed by that. How is this a business? Heyward: Are we going to build an ad business? Yes, at some point. Do we need to do it tomorrow? No. Do I think we’re going to be able to do it in a really cool way? Yeah, I think so. We have something that nobody else has at scale, and that has value. Jeremy Liew, an early Whisper investor with Lightspeed Ventures, just increased his firm’s percentage of the company in the latest round. Liew originally took interest in Whisper, as well as his other recent star, Snapchat, after watching them climb the app ranking charts and then investigating to see what was going on. Liew: They’re hitting on this pop culture movement where people feeling the pressure to maintain their image is peaking. Whether Facebook or Twitter, you’ve always got your game face on and are telling people how cool your life is. On Whisper, you have the ability to share authentic true raw emotions, and the feeling is freeing because it’s anonymous. There’s also simply the form factor of picture with overlaid text. You’ve heard that, normally in social media, one percent create, less than 10 percent curate and 90 percent consume. Well, 45 percent of users have created a Whisper. Whisper users are 70 percent women and more than half under 25. Where young women go, so goes the nation. We’ve seen it with Facebook, Snapchat and Tumblr. Roelof Botha is a partner at Sequoia Capital who just joined Whisper’s board. He was introduced to the company by Liew, a business-school classmate and a groomsman at his wedding. It’s the first investment Botha led in more than a year; the last was Instagram. Botha: I imagine being a 22-year-old and having one drink too many, and if someone was there the whole time with a camera, I’m not sure I’d like that. Whisper gives people a way to be themselves. 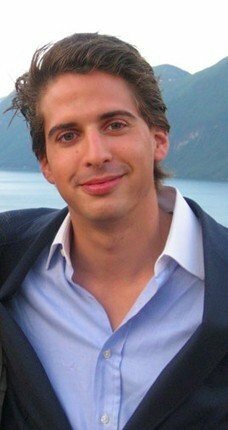 It’s tapping a need for people to express themselves anonymously, like a virtual support group. What about this idea that online networking will enable a sort of radical openness, where people share more and keep fewer secrets? Botha: I don’t believe people are wired that way. I have insecurities, things that I would prefer most people don’t know. You present different parts of who you are to different audiences. It feels like the early days of YouTube (another of his investments) where I would flip through random pages. This has very broad appeal because the content is so unique and interesting. The 100 posts I’ve “hearted” on my phone always captivate people when I start showing it to them. I had a child that had a bad medical condition this year, and I spent a lot of time in the pediatric ICU. I didn’t want to post about that on Facebook, but I posted a good MRI scan on Whisper. There’s psychological research about how stress is elevated when you try to keep a secret. That’s the value of a confession.